Add a trendy touch to your bedroom with Dormeo Twins bedding set. It will bring fresh and dynamic touch to your interior designs with its stylish imprint and 100% cotton sateen. Zip closure. 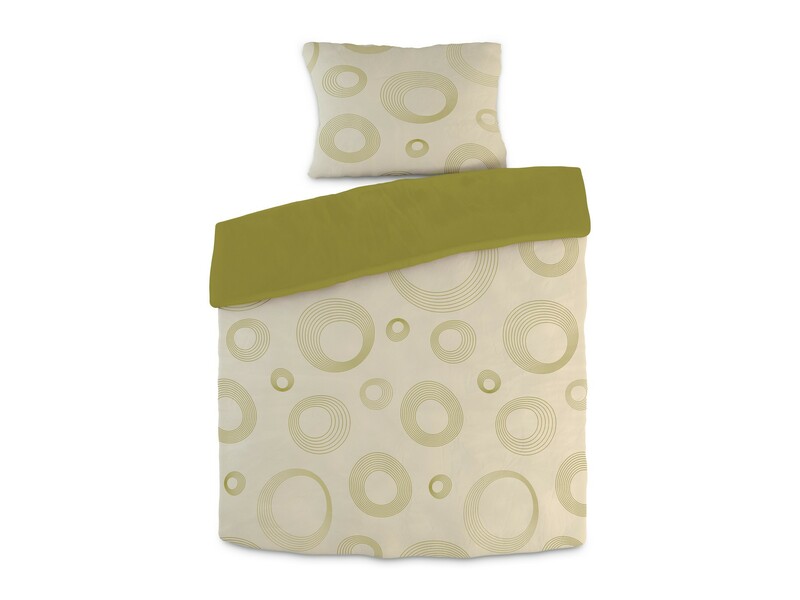 Decorate your bedroom with refreshing stylish design of Twins bedding set. It has 2 different sides which enables you to set your bed in different combinations. A modern colour scheme of ivory colour with all over printed design in round, swirled appliqués that give this bedding a trendy and dynamic look. The other side is solid contemporary coloured, either with moss green, mineral blue, purple or dark grey. Twins bedding set is made from 100% pure cotton sateen giving it a sleek, shiny, silk-like appearance. It has a zip closure for easy change of your bed garment.